Remodeling a kitchen can be one of the most rewarding jobs as it breathes new life into the heart of the home. Our team at ProSource of Charleston® has the knowledge and selection to help design the dream kitchen you want and make it a reality. We’ll help you navigate the variety of options effectively to get you what you want quickly and for a reasonable wholesale price. 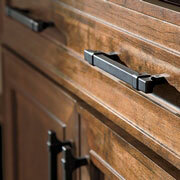 Upgrading the cabinets offers a quick way to add a vibrant new look to any kitchen. This stylish upgrade can also add functionality to your kitchen with increased storage and improved cooking space. Come visit our showroom to revel in the wide array of cabinets at competitive prices we offer from the best brands. We offer an excellent selection of kitchen cabinet hardware so you can get the perfect accent addition to go along with your new kitchen cabinets. From traditional knobs to handle pulls, cabinet hardware is an essential detail for bringing together the entire look of the kitchen. 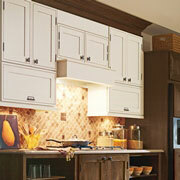 We also specialize in cabinet lighting to help give your cabinets the best look possible. 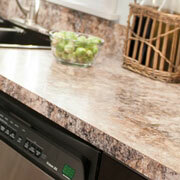 Get the whole package from ProSource to rejuvenate the beauty of your kitchen. Increase the potential functionality and aesthetic appeal of your kitchen with a set of kitchen countertops from ProSource of Charleston. Our selection of countertops features a vast array of materials, ranging from quartz and granite to marble, laminate, and more. See them in all their glory at our Charleston showroom. 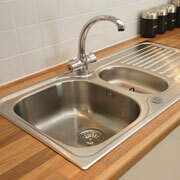 The kitchen sink is a focal point that is vital for keeping your home running smoothly. You will appreciate our massive selection of different styles and configurations. We offer our sinks in a multiple materials such as stainless steel, cast iron, composite granite, cast acrylic, copper, fireclay, and much more. No matter what kitchen sink you need, you’ll find it in our showroom at ProSsource of Charleston. 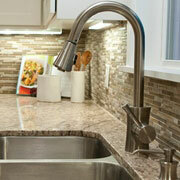 No kitchen model is complete without a new stylish sink faucet. ProSource of Charleston has faucets in a variety of styles, colors, and functions to add the finishing touches to any kitchen remodel. Visit our showroom or browse our catalog to find the right faucet option for you.